You know that you have these booklets, which can act as part of your guarantee, which you get with each product that you buy. The problem often comes when you try to store them and make some sort of order from all the chaos that can come with trying to put different sized items into some sort of order and one that you can find for an item later. 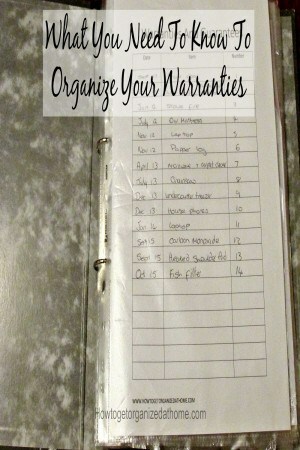 You might be pleased to know it really isn’t that difficult, I have used the same system for a few years and it works, this is how I organize my warranties. 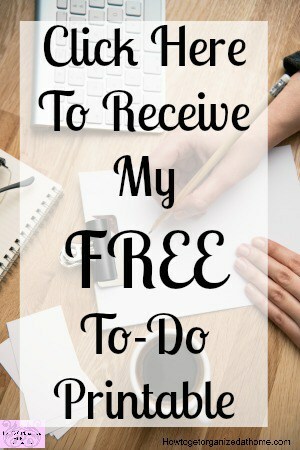 I think the most important lesson I learned was that you had to do something with them, in the beginning I would just shove them all in a box file and hoped that if I needed something it wouldn’t be that difficult to actually find what I was looking for. The breaking point for me was a few years ago, I was looking for something in this box file and I couldn’t find it! It annoyed me so much that I decided that I needed a new way to store these items and my system grew. I knew from the beginning that simplicity was important , there was no way that this system could be complicated, I just wasn’t prepared to spend hours just filing away a warranty. What you need is a ring binder, I have a two-ringed binder and I think the next time I might have at least a three-ringed binder, as the inserts are heavy and pull down the plastic pockets ripping the holes, a permanent pen and an index. I literally place the warranty booklet in a plastic poly pocket and on the front, I write the date purchased, the length of warranty, the shop purchased from and the price. This information will allow me to find the receipt, I don’t store receipts in this file because it isn’t the right place, they have their own home. On the index, I write the date purchased, the name of product and the number of the poly pocket that I will find the warranty information. I do store the index in a plastic poly pocket too, only because I found that the other poly pockets pull it, making it easily damaged. I decided early on that the index wouldn’t work if it was alphabetical, as I would have to potentially write it out each time I purchase a new item. I don’t use a new file each year, we don’t tend to buy many new items and so for the sake of wasting space and buying folders when they are not needed, I just continue in the same file until it is full. I need organization and for me this was the best solution, it is simple and easy to find the item you are looking for, it also means when you get rid of the said item, the warranty information can go with it too. The important thing to think about when you are organizing is to keep it simple, a complicated system is more likely to fail than a simple one and it requires less time to get the warranties in some sort of order. Therefore, organizing your warranties isn’t difficult and it can save so much time in the future when you are looking for an item. There is nothing worse than hunting for one small piece of paper! Don’t forget to label the poly pocket with where and when you purchased the item. This can save a lot of problems if there is a fault with the item whilst it is still within the guarantee. If you are looking for more articles on this topic head over to the landing page where you will find links to other posts on organizing paperwork.